Welcome to Seeds and to this 27th product in the line by Expeditious Retreat Press. Seeds are story ideas, plot ideas, creature ideas, adventure hooks, anything that can grow into an enjoyable gaming experience. Each seed is small (only a paragraph or two at most) and each Seed product will be small as well (only four to five pages), but just like their namesakes, they have great potential when provided with the right environment. 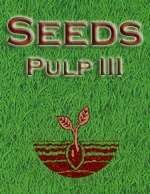 We're pleased to introduce Pulp Seeds III to our line of Seeds products. We've also collected seeds for other genres (horror, supers, fantasy, post-apocalyptic, modern, sci-fi, western and military). 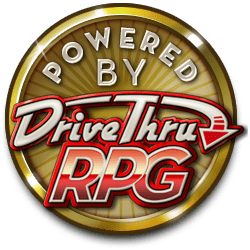 For a free sample, check out our Seeds: Fantasy available here at RPGnow.com! Don't forget to pick up Seeds in other genres! This title was added to our catalog on August 08, 2005.